Welcome to the Cameron Park Friends of the Library! 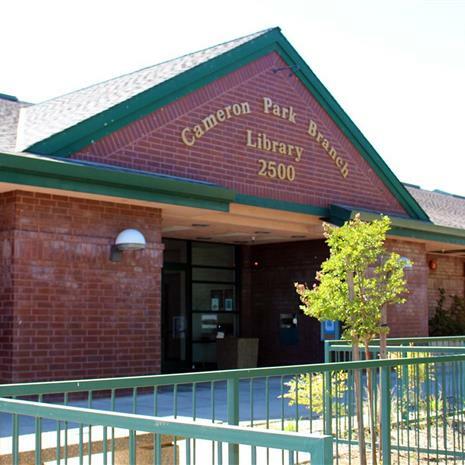 The goal of the Friends of the Library is to raise funds so that we may continue the funding of much-needed books, supplies, equipment and enrichment programs for the Cameron Park library. Our Board meetings are held the second Monday of every other month at 3:00 pm in the Community Room at the Cameron Park Library (January, March, May, July, September and November). We welcome anyone who would like to see what the Friends are all about. 2019 Book Sales at the Cameron Park Library will be the second Saturday of every month from 9:00 am to 1:00 pm. In addition to children and teen programs, we sponsor adult programs featuring a variety of speakers and performances. For additional information on meetings, programs, and special events, please visit the library's page on Facebook.